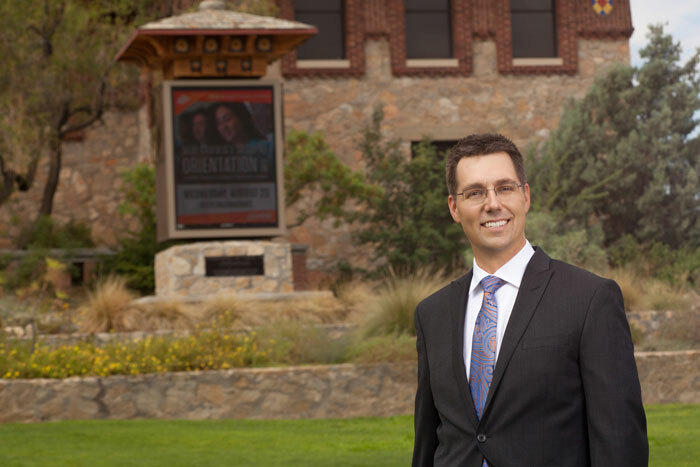 Daniel J. Carey-Whalen has been selected as the new director of The University of Texas at El Paso’s Centennial Museum and Chihuahuan Desert Gardens. Daniel J. Carey-Whalen has been selected as the new director of The University of Texas at El Paso’s Centennial Museum and Chihuahuan Desert Gardens. Photo by Daniel Frederick with Light My Way Photography. Carey-Whalen, a Kansas native, first came to UTEP in 2012 as an adjunct lecturer in museum studies in UTEP’s Department of Art. In 2015, he was promoted to coordinator of museum studies and public culture at the University. Over the last four years, Carey-Whalen has taught three museum studies courses and managed the museum intern program. Carey-Whalen earned his bachelor’s degree in history from the University of Missouri at Kansas City and a double master’s degree in American studies and urban planning from the University of Kansas. Prior to joining UTEP, he was the education coordinator at both the Kansas Museum of History and Galveston County Historical Museum. He also served as the grants administrator for the Institute for Medical Humanities at the University of Texas Medical Branch. Carey-Whalen will start his new position Sept. 1.